My request for a macro lens was granted, if only for a few days thanks to Jen, of Jen Martin Studios (go check out her website, she’s really good!! ), who saw my blog post. I learned that macro photography requires a steady hand, great lighting, and quick shutter speed. My objective was to get more of the detail on the flower I posted last week. However, since it seems to be really windy here all of the time, it was hard to get a shot that didn’t turn out blurry. This one was my best attempt. Next Post Next post: Let There Be Light! This is really good, especially for the first time out with a macro lens. Marco is tough. I’ve had my macro lens for about 2 years, and, it can still be a bit frustrating. Getting the focal point exactly right, along with the kind of depth of field that you want really does take lots of practice! Can you do macro without a macro lens — yes and no. 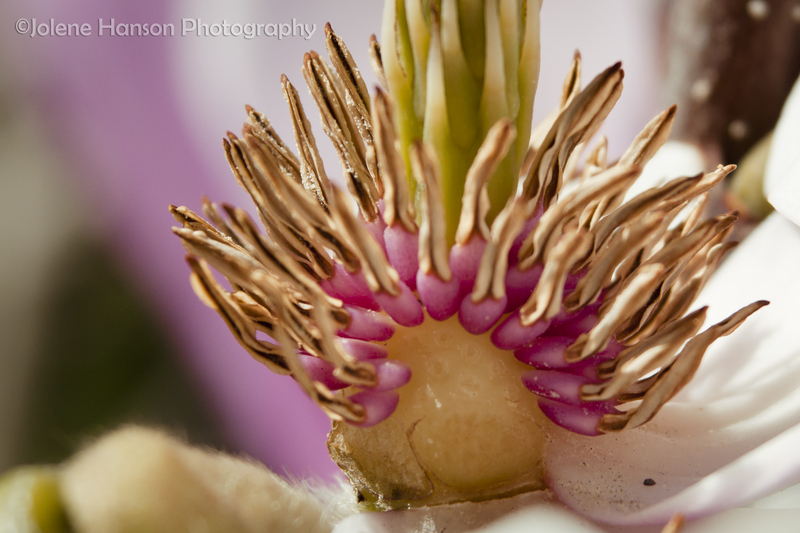 True macro photography is not about getting close, it’s about the ratio of the image. Macro means that the size of the image in the photo is life size. Close up, which gets done with non-macro lenses makes the image print out at smaller than life size. (Though, I’m sure you know this!) Macro lenses are nice, but, don’t let the lack of a macro lens keep you from photographing things up close! Macro lenses make great all-purpose lenses as well — obviously you can’t do the same shots as with a wide-angle lens, but I hardly use my zoom lens anymore. I use my prime lens (35mm), and my macro (105mm) for practically everything I do. I would love to try my hand at Macro some day. This is great! Jolene, I like this shot, it’s creative, macros are so much fun, but like you said, that wind and steady hand can make a difference. Thanks, Martina. I always love your macros! Almost looks like it’s on fire. Yes, the slightest movement can crap a macro shot…grrr to you wind! Yes, David – the wind can be aggrivating sometimes!! I love this picture! Jolene you are getting so good!! How awesome of Jen to let you borrow that lens, I hope to see more pics like this one! There’s a bit of blur there, but it works. Macro photography with out a macro lens is possible. Thank you! It will definitely take more pratice to get the hang of it. It turned out beautiful! And yes – macro is very picky! It likes things to hold still!! Thanks for letting me borrow the lens, Jen!